As we become more active we often push/strain our tendons, joints and ligaments beyond what they were used to. Stress injuries such as tendonitis and osteoarthritis can be the end result. By now many of you have heard of PRP, or Platelet Rich Plasma. While PRP is not a magical cure, it does seem to be affective at minimizing pain from many conditions. PRP injections are being used to try and treat many different orthopedic injuries and degenerative conditions such as arthritis. Many people believe that PRP might cure them of osteoarthritis. There are many other misconceptions about what PRP is and what it can do. 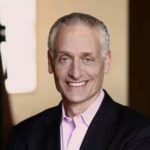 Once you choose to proceed with a PRP injection there will be many questions relating to how fast the recovery is following a PRP or platelet rich plasma injection. will PRP help my condition? 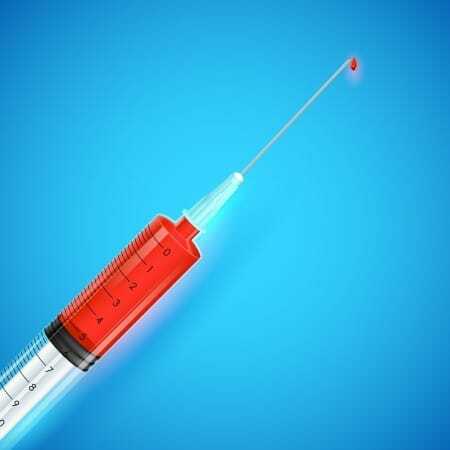 how long is recovery from a PRP injection? This post will focus on how a PRP injection is performed, and the typical recovery times we see in our office, and those quoted in the scientific literature. The science is changing rapidly. I will try and keep this post as up to date as possible. There will be many links at the bottom of this article to many other posts which go into depth on the use of PRP for various conditions. What is a PRP injection and how is it performed? PRP injection (Platelet-Rich Plasma) is an increasingly common treatment option being offered to patients for many orthopedic injuries and conditions. PRP is not a magical cure, but it does have a role in minimizing pain and improving function. We will discuss the potential uses below. These injections are an in-office procedure. The entire PRP procedure from start to finish takes 30 minutes or so. During a PRP injection we take a sample of blood from your arm. That blood is placed into a special canister and then it is placed into a centrifuge. The centrifuge will separate blood into various components. There is a layer that forms when the tube is spun in the centrifuge. That layer has the platelets in it. We are then able to remove the layer that has the platelets and other larger cells (stem cells) in it. That layer, containing the platelets will then be injected into the joint, tendon or ligament that is injured. Depending on the area being injected an ultrasound machine might be used to guide the needle to its proper position. The risks of PRP injections are very low because you are receiving your own blood. We do not typically add any medications to the PRP injection so you are only being injected with a portion of your own blood. Most people experience soreness after the procedure. Some will describe it as pain. It will vary significantly. Knee, shoulder or elbow joint PRP injections typically produce mild swelling and very little pain. Injections of PRP into muscles or tendons typically causes much more pain than a joint injection. That discomfort or pain can last 2-3 days or longer. During the PRP injection procedure we will be collecting your platelets and injecting them into the damaged or injured area. Platelet function is affected by certain medications. You may need to consult your cardiologist or primary care doctor. Aspirin, motrin, advil, alleve, naprosyn, naproxen and diclofenac will all interfere with platelet function and would be expected to lessen the response to the injection. We ask people to be off of aspirin or other anti-inflammatories for 1 week before the injection and two weeks after the injection. Tylenol will not affect platelet function and may be taken during the treatment period. Will PRP work for my injury? PRP when used alone will not heal a meniscus tear. However, at the time of surgery, when we repair the meniscus using sutures we will often inject the PRP around the repair site. The current thinking is that PRP might have a role at improving the chance that the repaired meniscus will heal after suturing. Many people with bursitis or inflammation of their rotator cuff might respond to a PRP injection. PRP can reliably decrease inflammation. That is the main goal of PRP. These injections will not reliably heal a rotator cuff tear without surgery. Similar to a meniscus tear, we might injection PRP in the area after we repair the rotator cuff. Again, the thought is that this might improve the chance that the rotator cuff tear will heal. In cases of bursitis without a tear, the PRP is often effective at alleviating the pain due to inflammation of the bursa. One of the most common uses for PRP is to treat osteoarthritis of the knee, and less commonly of the shoulder and hip. 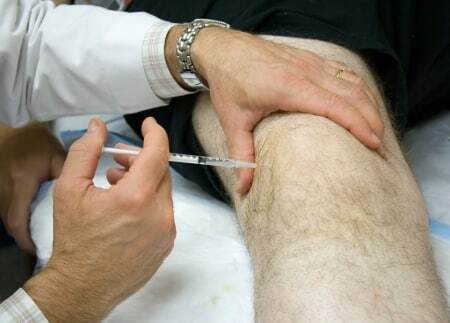 This post goes into more detail about PRP injections for knee arthritis. PRP will not reverse or cure the arthritis. The main goal of the PRP is to decrease the inflammation within the joint. We have used this successfully in combination with other procedures such as an embolization for people looking to delay a knee replacement. PRP seems to be most useful for injuries to the medial collateral ligament (MCL). Most MCL injuries heal on their own within 2-3 months. Some MCL injuries become chronic. That means that the inflammation and swelling last well beyond the normal expected recovery time. PRP injections in this setting have been demonstrated to improve the healing and minimizing the chronic inflammation. These happen to be fairly painful injections. Many of you will feel worse, and more stiff for a few weeks after the injection. ankle sprains, tendonitis and ligament sprains. In PRP therapy, a patient’s blood is drawn, separated and re-injected into injured joints and muscles to ease pain. After the injection, your platelets release special growth factors that often lead to tissue healing and repair. This is why it can take a while to see results after an injection. This is also why PRP injections into the tendons, muscles and ligaments will hurt. PRP will initially cause acute inflammation to heal the problem. That acute inflammation could hurt for a few days to a few weeks. It takes time for the recruited repair cells to come to the injured area and start the repair process. PRP recovery time: What can I expect after an injection? Patients may experience approximately two to three days of being sore after joint injections. People receiving PRP for soft tissue injuries can expect pain for a few days. They may also experience stiffness. Tylenol is often effective at managing the pain. Prescription pain medication is rarely needed. Patients often rest for a few days after the treatment but this is not absolutely necessary. Pain relief typically starts to occur within three to four weeks after the injection. Your symptoms continue to improve over a period of three to six months following a PRP injection. The recovery time frame varies depending on what we are treating. The pain or discomfort of osteoarthritis usually responds faster than tendon related pain such as tennis elbow, golfers elbow or patella tendonitis. PRP has NOT been very useful for achilles tendon pain. Sometimes arthritic joints respond much faster to these injections than a patient being treated for tendonitis. Why PRP and not Cortisone? If successful, PRP generally results in long-lasting relief because the degenerative tissue has potentially started to regenerate or regrow itself. The bioactive proteins stimulate healing and repair. New research shows PRP to be more effective than cortisone injections –which simply mask inflammation and have no healing capabilities. Cortisone has no healing properties, does not work long term and on occasion can lead to tissue damage. More recently (2017), cortisone injections are now thought to potentially lead to cartilage damage as well, thus potentially worsening osteoarthritis. If you have a sports injury or osteoarthritis and have questions about PRP injections, please ask me in the comments below or contact my orthopaedic office in Fishkill, NY – Hawthorne, NY or in Westchester County, New York. May i ask if a shoulder labral tear can be treated with PRP? There is no science to support it.. but many are trying it. Anecdotally some may say it worked… but until the research catches up we will not know if it is the PRP which is healing the labrum or not. I just had PRP injection into shoulder. Hx of rotator cuff surgery, laurel repair and bicep tenodesis 11 months ago. Developed sever scar tissue and surascapular nerve entrapment. And had a second surgery 5 months ago. ROM still very limited and pain w movement. What do you recommend for rehab after PRP. I am an avid long distance runner, gym enthusiast and have been in PT for 11 months. Just started lifting light weights w cables. How long should this joint be rested? Also does movement of shoulder joint with running or exercise impede the healing of the PRP and would it decrease chances of a favorable outcome? LuAnn… PRP unfortunately will not help you to gain back your motion. PRP injections can be useful in very limited applications around the shoulder. Your motion and activities generally aren’t limited after the injection… but you should check with your surgeon and follow their protocol. I have shoulder pain more than 1.5 years. I felt the pain while I was serving in tennis. There is no pain when I stand still, but it hurts when rotating inside or back or holding mouse using the computer. So many MRI, finally doctors couldn’t find any tears in tendons. I’ve tried all conservative treatments such as PT for 30 days, dry needling, kinesiotape, ice packs, rest, pills, cortisone shot. Finally, my physioterapist made me PRP injection yesterday. After injection I feel no pain as they said and I don’t know it works. Happy to hear that the PRP injection helped you! Hi Louise… 5 days is a very short time. I usually tell my patients that it may take 4-6 weeks for a PRP injection into the elbow to start to improve your symptoms. I have had 3 PRP treatments in 3 week intervals in my left knee to treat tendonitis and degenerative arthritis. I have experienced a decrease in pain free movements and athletic capability after each set of shots. Is this frequency of injections normal given the standard recovery time? And do I just need more time after the shots to see if the PRP was effective? Thank you for your time. Matthew… there is a lot of research going on in this area right now. We do not know what frequency is appropriate, nor which PRP system works best. Right now, I personally perform one injection, and only use subsequent injections if necessary. Thank you for taking the time to respond Dr Luks. Typically how long do you follow up with a patient to determine if a second shot is necessary? I am just trying to determine of the shots actually made my knee worse or if has just not recovered enough yet after 3 weeks to assess. Because as of right now, it is substantially worse then before the shots. Most patients injected for arthritis or inflammation of the knee feel better within a few weeks. Tendon related problems can take upwards of 4-6 weeks to start to feel better. I’ve just had a PRP injection to help my adductor tendonitis caused by Osteitis Pubis. My doctor had said I should try another injection into the symphisis. I haven’t been able to find any info about whether it can help. Have you had any experience is treating OP with PRP? To my knowledge there is no science or literature on the treatment of osteitis pubis with PRP. Since the OP process involves edema, or fluid in the bone, as well as the joint destruction, I imagine the success or failure of using PRP in this scenario will depend on what stage you are in ??? Since the injection will be placed in the “joint” it may or may not work based upon your stage,and where the pain is coming from. I had a PRP in my right knee 5 days ago. Am I supposed to keep icing it? It doesn’t feel any better yet. I am scheduled for 2 more, a month apart. Sometimes it can take a few weeks for the PRP to “kick-in”. But then again, sometimes the PRP simply doesn’t work :-(. I have had proximal hamstring tendonosis for 2.5 years. I”m just wondering if PRP would be effective after such a long length of time. The MRI showed that the tendonisis was “mild” which amazed me considering how painful it is and how it never goes away. However, if I do nothing, will that eventually become a tear? the MRI also showed a partial gluteus maximum tear and I’m afraid the hamstring weakness caused that. Could they be related? Hi Becca… Perhaps your pain is not due to the hamstring, but instead due to the gluteus ??? idk since I have not examined you. PRP is fairly effective in treating many forms of tendinosis. There is no science or data specifically addressing tendinosis of the hamstrings. Hi Shana… there is no standard protocol. I personally encourage my patients to obtain a Flex Bar from Theraband… but you should check with your doctor to see if it is ok.